For years Sun Hop Fat has been at the forefront of introducing the unique sounds of Ethiopian Jazz. Their music blends the rhythms of traditional American funk and jazz with harmonies and melodies from East Africa. Originally the band focused on covering arrangements from the “golden era” of Ethiopian Jazz, but now their sound includes many original compositions. This all-star band includes standout musicians from other popular San Francisco Bay Area groups. 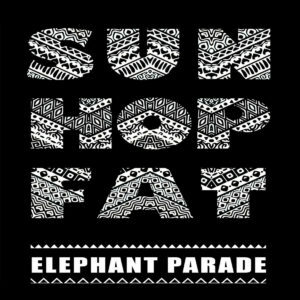 Sun Hop Fat has developed a solid following throughout Northern California by playing a number of clubs and festivals. The ability of the band to captivate sit down jazz crowds as well as steal the spotlight in prime festival slots, encouraging crowds to get up and dance, makes the group flexible in its appeal and garners support from diverse audiences.